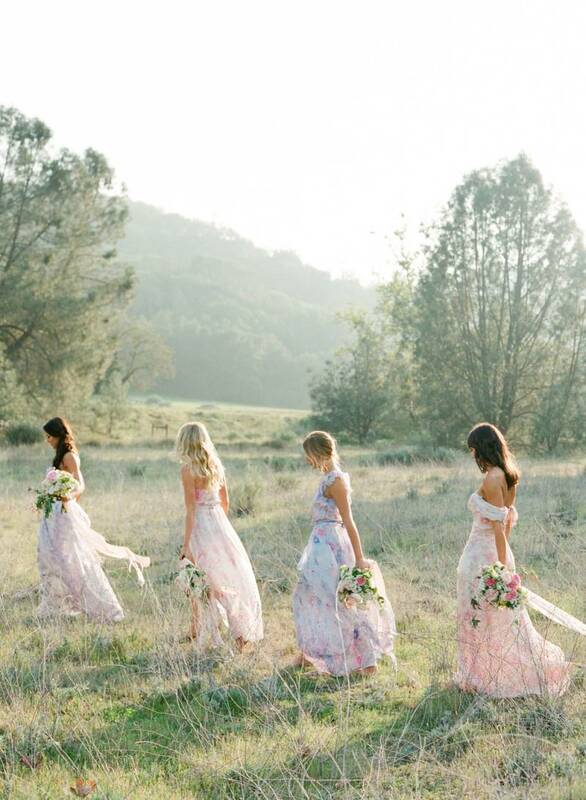 Bridesmaids dresses can be tricky to find, you want something that looks luxurious and fabulous but something that your friends will also love wearing. 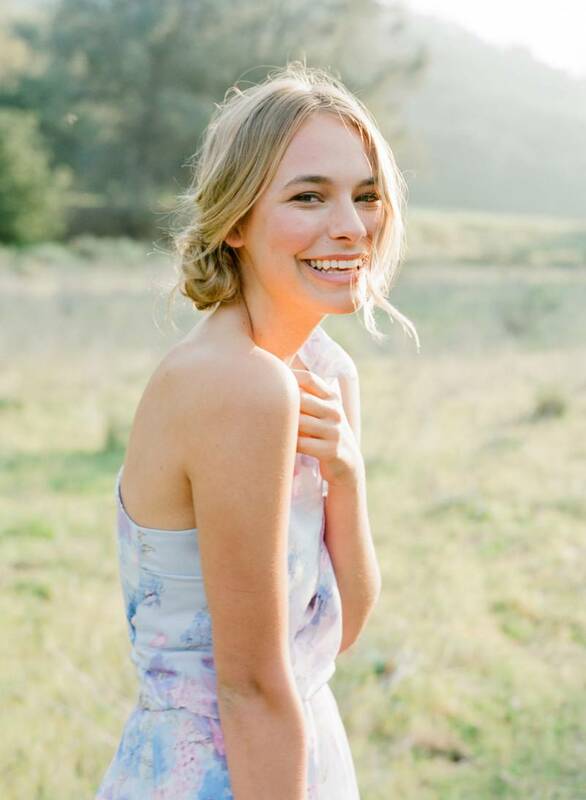 Thankfully the days of taffeta and stuffy bridesmaids dresses are gone and today we have options, including a new line of bridesmaids dresses from Plum Pretty Sugar. 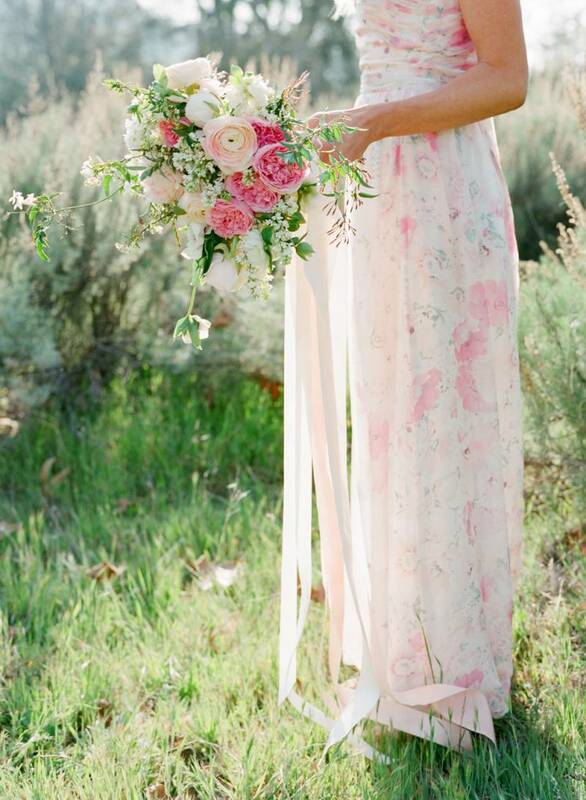 The soft, airy fabrics remind us of a dreamy alpine meadow and the dresses are simply perfect for a summer mountain wedding. Plum Pretty Sugar is known for its gorgeous robes and sleepwear, they've even designed collections exclusively for Anthropologie and BHLDN. When we heard they were expanding into a couture bridesmaids gown line we were excited to see what they would do, and the results are nothing short of amazing. 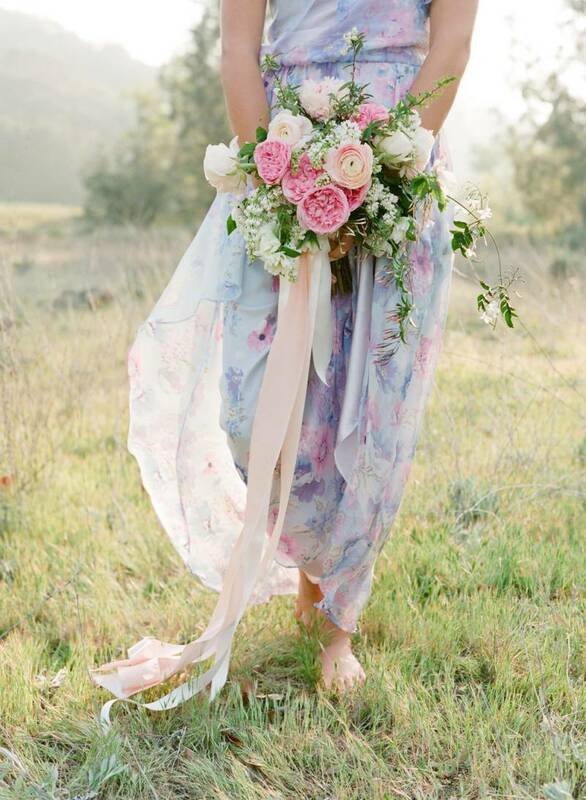 We love how romantic and soft the new PPC Couture gowns are, and that they stuck to using beautiful floral prints, which is a refreshing change from the standard monochromatic bridesmaids dresses we always see. 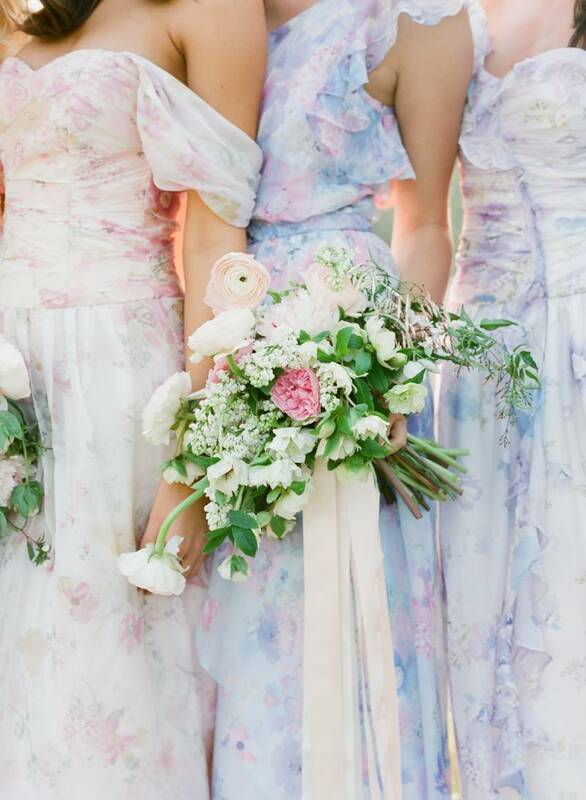 The new PPC Couture line includes four bridesmaids silhouettes and floral printed colors (orchid, cerulean, petal and shell). The Billy Gown: Billy is whimsical and beautiful, inspired by thuthm, music and a delicate breeeze. The James Gown: James is romantic, quixotic and subtly mysterious, inspired by great novels and grand couture. A gow that is passionate and evokes enchatment. 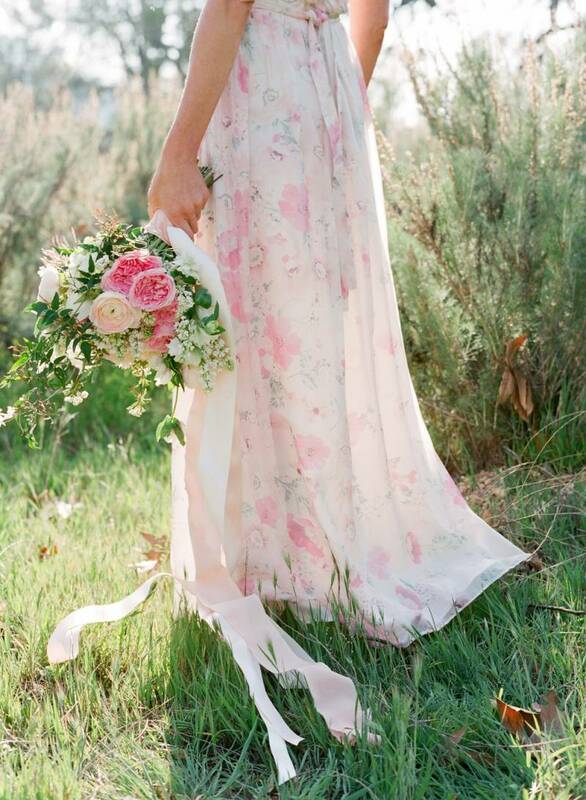 The Ryan Gown: This romantic gown is inpsired by ballerinas. Ryan is handcrafted from soft, flowy silk and silk chiffon, and artfully embellished with delicate silk ruffle details. Find out more or purchase your PPC Couture gowns on their website.